MBW’s revelations about Spotify repeatedly adding ‘fake artists’ to its key playlists have been the talk of the global music business this week. Yet one nagging question has been raised time and again in response, both by those up in arms about the news and by those who reckon it’s a lot of fuss about nothing: what exactly does Spotify have to gain by feeding its listeners these pseudonymous artists? Today, MBW can reveal the source behind a swathe of these fictitious performers: Stockholm-based production music company Epidemic Sound. But we can also confidently, finally, suggest what might be in it for Spotify. The answer was beautifully described to us by one livid record label exec yesterday as “watering down our beer”. On Monday (July 10), MBW discovered that Swedish production duo Andreas Romdhane and Josef Svedlund (pictured), better known as Quiz & Larossi, had made the music behind at least eight of the 50+ fake artists. After our story, we were told that their contribution to the practice was small fry compared to another Swedish company: Epidemic Sound. A big giveaway: Spotify’s ‘related artists’ feature links a handful of composers who are represented by Epidemic to many of the fake acts revealed by MBW in our initial list of 50. These include: Jeff Bright Jr, Greg Barley, Lo Mimieux, Charlie Key, Amity Cadet, Benny Treskow and Mia Strass. Fictional artists we hadn’t previously noticed, now believed to be pseudonyms of Epidemic’s composers, include Tonie Green, Sigimund, Julius Aston and Grobert. Before this next bit, we’re going to repeat an important caveat from our previous story: the quality of output recorded by these figures is not under question. They have won rave online reviews from fans – especially classical music fans – desperate to find out who they really are. These are, undoubtedly, fake artists. But their music is obviously written and performed by people. Evidently, very talented people. Actual, real-life Epidemic composers likely to be behind at least some of the above names include Peter Sandberg, Gavin Luke and Rannar Sillard. It’s two-fold. The first bit, we can be pretty certain of. Like many production houses before it, Epidemic Sound outright buys copyrights from artists. Epidemic tells would-be clients that they will receive a “one-time compensation” for each track with “no royalties” because “payment [to artists] is never based on usage”. Once an artist has signed that contract and taken that check, their music is the property of Epidemic Sound. 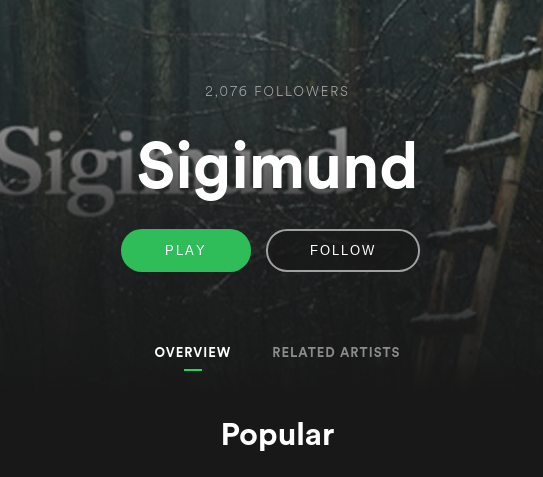 We know for a fact that Epidemic-owned songs, under fake artist names, are being added to Spotify playlists with uncommon regularity. As a result, they are collectively racking up hundreds of millions of streams. We don’t know what Spotify is paying Epidemic Sound for the rights to these songs. However, we have a strong suspicion that it’s considerably less than what Spotify would pay for non-production music – and is either based on a single upfront payment, or a low-cost renting/subscription model. 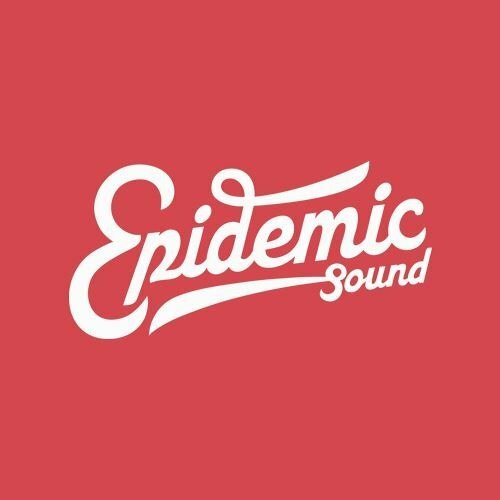 Epidemic Sound’s brand tagline? Hand-picked, royalty free music. So, then… “watering down our beer”. As eloquently explained by analyst Mark Mulligan through here, Spotify licenses music on a ‘service-centric’ basis. In layman’s terms, that means that for each payment period, it pools every stream on its platform – and then pays out based on the total percentage of plays that each artist banks. So what would happen if Spotify was able to secure a significant discount on a tranche of fake artists – perhaps “hand-picked royalty free” artists – and then promote them so heavily they end up with hundreds of millions of streams? Bingo. It would inevitably reduce the playcount share of every other artist, and every other label, on its service. The second part of ‘why this might sound a bit… y’know’ is something that both Spotify and Epidemic Sound strongly deny. 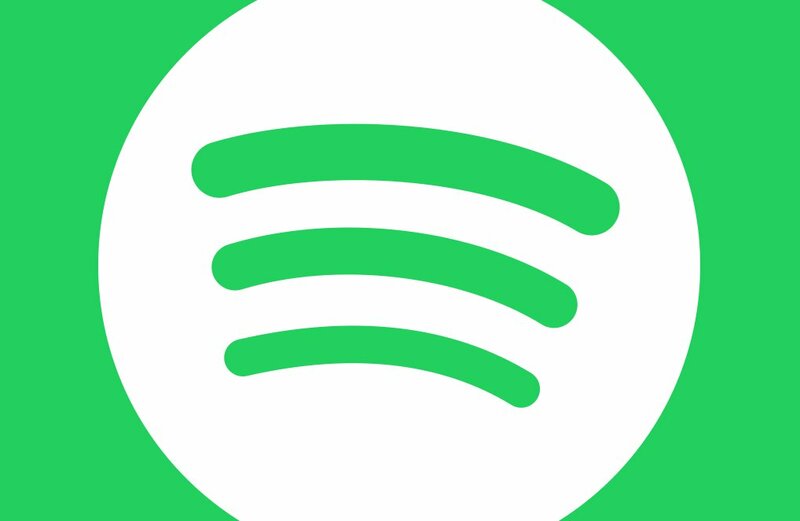 What if Spotify directly commissioned Epidemic Sound and/or its clients to create music – which then got a direct free pass on to Spotify’s first-party playlists? As we’ve demonstrated, it’s a system that would appear to be in Spotify’s economic interests. For a company which has fought tooth and nail to reduce the percentage of its revenue being paid to labels in the past year, it would certainly be a handy method to secure some margin relief by stealth. 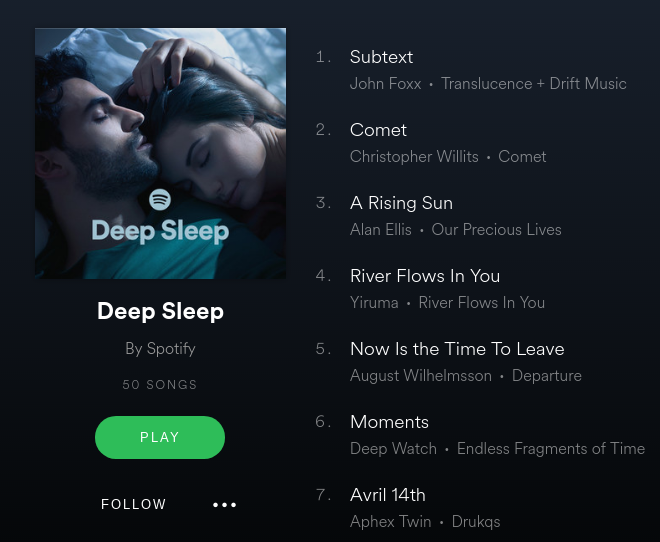 Especially with playlists like ‘Deep Sleep’, which are designed to be send you into a cosy slumber – and could then continue to play for hours on end as you snooze. Many indicative factors around this story seem more than a little strange. For starters, why are the fake artists created by Epidemic clients seemingly waltzing onto Spotify playlists with millions of followers each and every time – when real life artists and labels bemoan the Swedish company’s rigorous pitching and curation process? 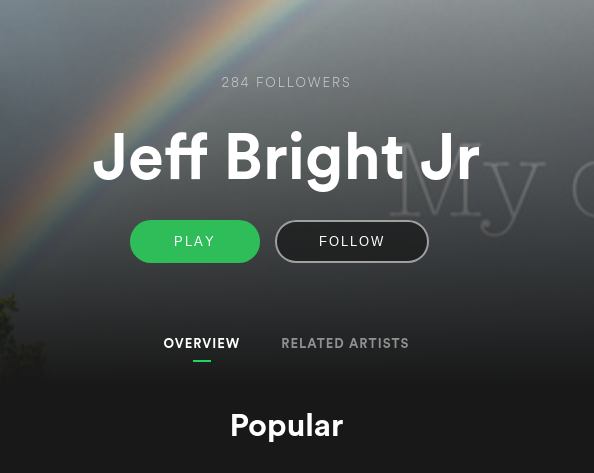 Almost every single fake artist we’ve identified – and we’re way above 50 now – has attracted millions of streams via playlist inclusion. In fact, we can’t find any fake artists that haven’t been included on Spotify’s first-party playlists. In addition, a point we’ve made over and over: surely it can’t be coincidence that all of this music is completely exclusive to Spotify? If you were a rights-holder looking to make the most of your recorded music, even under a pseudonym, wouldn’t you want it being played everywhere from Apple Music to iTunes to YouTube to TIDAL? This seems to indicate some form of exclusive relationship between Epidemic and Spotify for these tracks. And that smells like a direct deal. Funnily enough, that’s another question for Spotify: Didn’t you guys come out and say you didn’t do artist exclusives? Or does that only apply when the artists in question are actually in the land of the living? 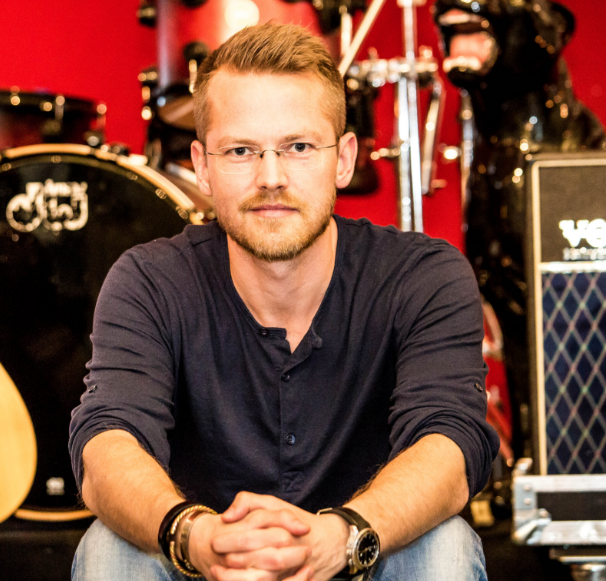 Earlier today, MBW contacted Oscar Hoglund, co-founder and CEO at Epidemic Sound. Hoglund (pictured) – a very successful producer in his own right – confirmed that Epidemic is behind many of the fictitious artist names on Spotify that MBW had identified. We promised him we’d run his statement in full, so here goes. “It is correct that some of the composers on your list work with Epidemic Sound. The music that they produce was not commissioned by Spotify and these are certainly not ‘fake artists’ – that term is offensive. “These are professional composers, who earn a living by creating quality music. As is often the case with songwriters and indeed mainstream pop artists, some composers choose to work under their real names whilst some prefer to use pseudonyms. 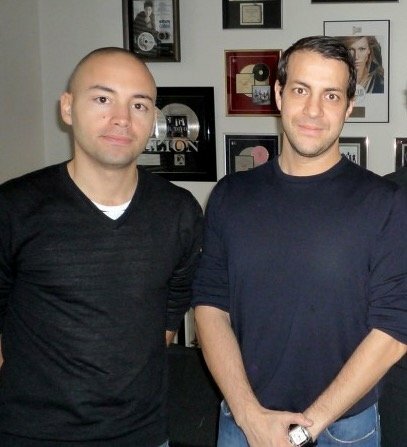 “Epidemic Sound has been making music for almost ten years. Our tracks generate more than 10 billion views per month on YouTube and Facebook alone. Consequently, we receive many requests for our music to become available via streaming platforms. “12 months ago we started to distribute some of our music via Spotify. This is a great platform for composers as it increases their income and gives them the recognition they deserve. Only one last point to make from us before we put this all to bed. We got to wondering if there might be any direct relationship between Spotify and Epidemic Sound in existence. Then we found one. A very intriguing one. In 2014, Epidemic Sound raised $5m from a fellow Swedish company, Creandum – ‘the leading Nordic venture capital firm investing in innovative and fast-growing technology companies’. Epidemic Sound recently doubled its valuation to $45m. In 2007, Creandum – whose homepage proudly carries a photo of Daniel Ek – became the first institutional investor in another Swedish company, Spotify. Spotify was recently said to be valued at $13bn. To be clear: there is no proof that Spotify, which lost $600m in 2016, could be reducing the percentage of revenue it pays out to content partners by filling popular playlists with fictitiously-named production music.